A dark, desperate tale of greed, crime, drugs, family, fear – and commercial crab fishing. 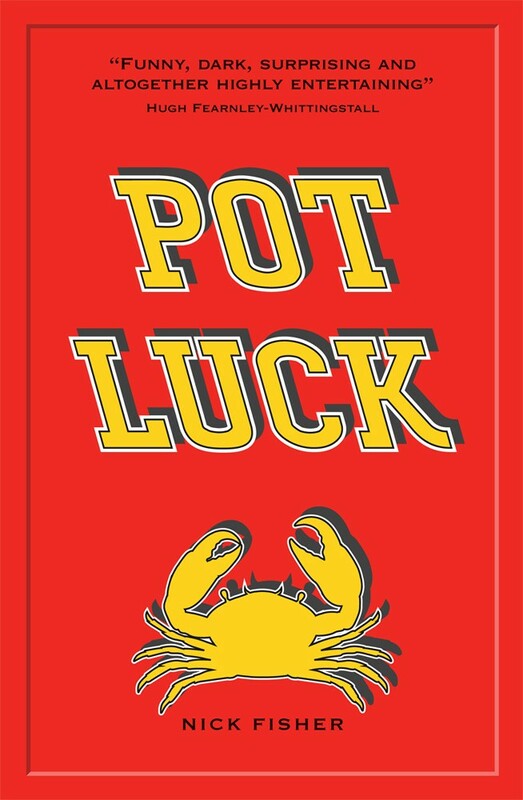 Pot Luck is the first novel by BAFTA-winning screenwriter Nick Fisher. A dark, desperate tale of greed, crime, drugs, family, fear – and commercial crab fishing. Brothers Adrian and Matty Collins are close to rock bottom: sick of the sight of each other and barely scraping a living from the only job they have ever known: crab fishing off the south coast. Every day is a depressing repeat of the one that has gone before - until a discovery in a remote spot of the English Channel changes everything. It could be the best thing that has ever happened to them – or is it the worst? Pot Luck is a thriller with sinister twists, a raggedy mob of opportunists and bottom-feeders, and an ocean of bad blood. Nick Fisher is a BAFTA-winning TV scriptwriter and series creator who has also gained a diverse range of writing credits in film, radio, stage, print journalism and books. He currently works as a core writer on BBC1’s primetime hospital drama Holby City, for which he has written over 20 episodes. He is a much-published expert in fishing and fish cookery, as well as being author of several highly-regarded teenage advice books for boys. Nick has also devised and presented a handful of factual shows, including Screaming Reels, Dirty Tackle, dear Nick. He also created and wrote the BBC comedy drama series Manchild. His first stage play Basket Case, starring Nigel Havers, toured 11 top regional theatres in 2012.